The Sickick IV series of sticks from Reebok is all about control, accuracy and a quick release. The quick release comes from the low-mid kick point, while control and accuracy come from their Dual Matrix II and AccuBlade technologies which are also found throughout the line. The 20K is lightweight, has great balance and a nice clean look. 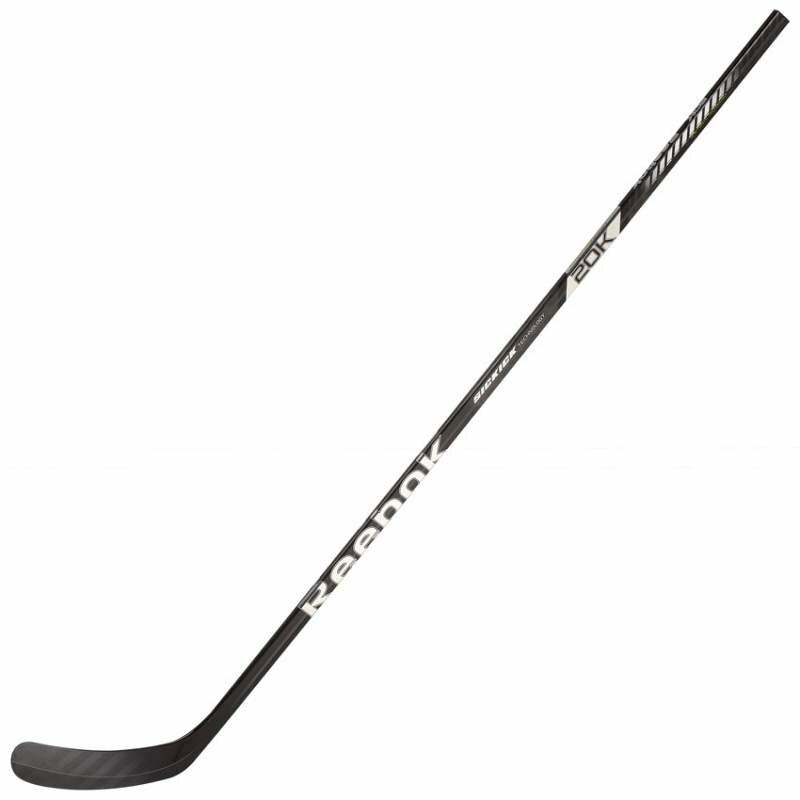 Reebok uses its Pure Fiber, or true one-piece construction of high modulus carbon fiber for this stick. This type of construction eliminates overlapping material in the lower shaft, thus reducing weight and improving consistency in energy transfer. The senior shaft uses a Traditional geometry with square-corners.